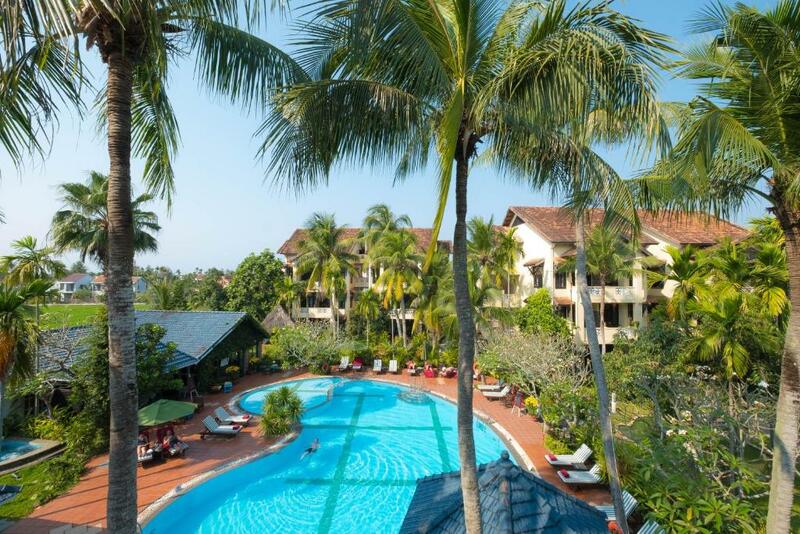 Lock in a great price for Hoi An Trails Resort & Spa – rated 8.9 by recent guests! When the air-con in our children’s room failed, they upgraded us to another (better) room. Loved the location, big enough property but still felt intimate. Happy hour two for one is great. Attentive and friendly staffs. 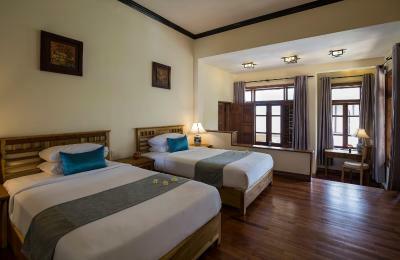 Room size of a Premium Deluxe room is huge with large balcony facing good garden view. House keeping 2 times a day is a bonus. Hotel is kind enough to arrange for a free airport transfer with a short notice. 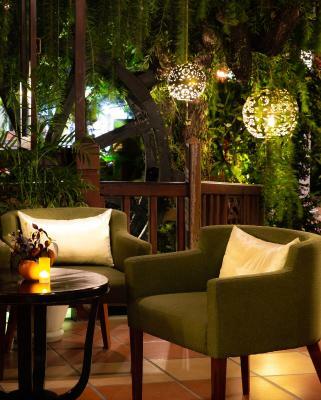 Location of the hotel is perfect, away from the busy old town but not too far away from it and the beach.Food in the restaurant is reasonably priced and very delicious. The staff of this hotel is amazing. 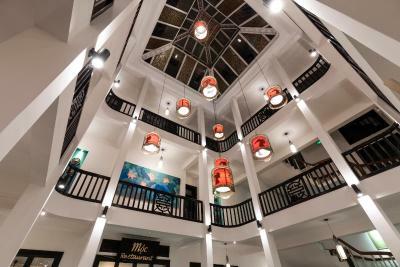 They really care about your happiness, there was a little misunderstanding at the check in but the staff especially Minh and Vinh, Thăng, Luy and Quyhh really made their best to help us and offer the best service always giving us the best solution. The room was amazing, more than what I was expecting. Nice pool and spa. The morning breakfast is more than complete, you have a wide variety of dishes from western to eastern food. Overall definitely recommended! Great style of the hotel and its rooms, nice pool. Very good breakfast. Well located between city center and the sea. Very helpful shuttle service. The staff were amazing, so helpful, friendly and efficient. Very Happy with our stay. 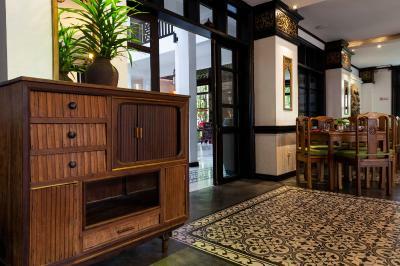 I MUST say that we were not happy when we checked in as the room was disappointing and not as clean as we expected but the staff promptly jumped on and rectified the issue and apologized. Could not fault them on their service from all the staff. There was not one person who did not go out of their way to be of assistance. 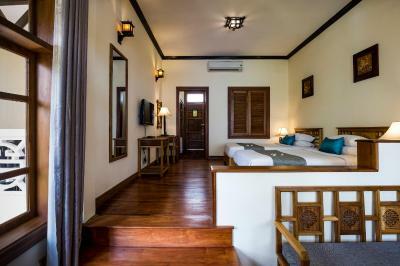 Hoi An Trails Resort & Spa This rating is a reflection of how the property compares to the industry standard when it comes to price, facilities and services available. It's based on a self-evaluation by the property. Use this rating to help choose your stay! 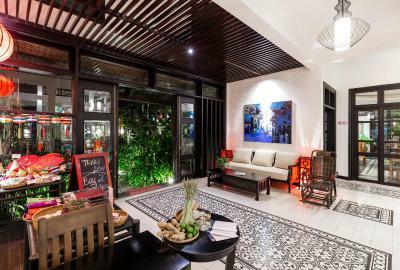 One of our top picks in Hoi An.Hoi An Trails Resort & Spa is ideally surrounded by rice fields and nearby Cua Dai Beach. 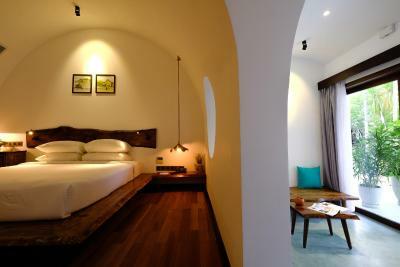 Offering free shuttle service from/to its private beach area, the resort offers luxury accommodations in Hoi An. 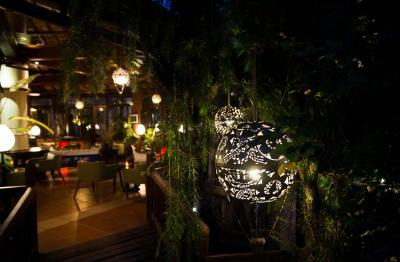 It also features an on-site restaurant and a year-round outdoor swimming pool. Featuring a balcony, all air-conditioned units have a seating area, personal safe and wardrobe. A flat-screen TV, sofa or soundproofing are available in certain units. Views of the garden and swimming pool can be seen from some units. 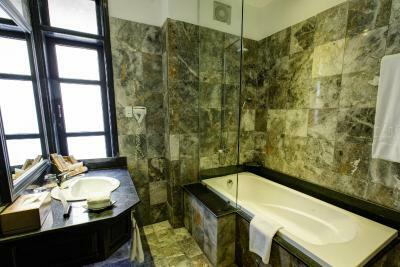 Private bathroom in each unit is equipped with a bathtub, shower and hairdryer. 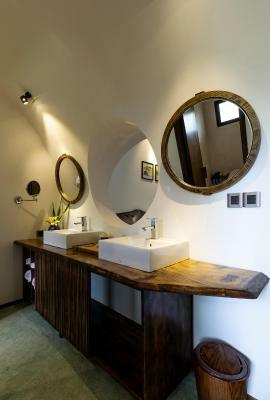 Free toiletries, bathrobes and slippers are provided for your comfort. 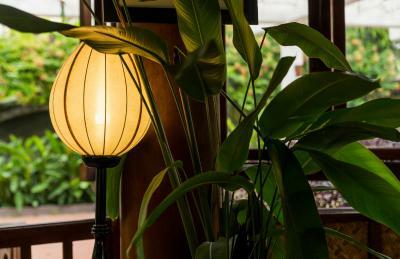 Guests can relax with a professional massage or sweat it out in the sauna room at Trails Spa. 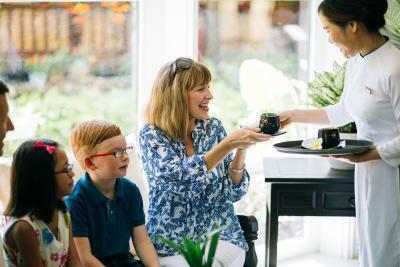 Fluently conversed in English and Vietnamese, staff at the 24-hour front desk can assist luggage storage, currency exchange and other concierge services. Day trips, bike/car rental, shuttle services and airport transfers can be arranged upon request at an additional charge. 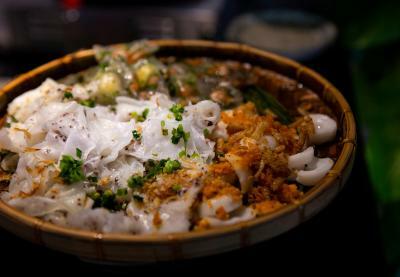 You can choose to dine at the two on-site restaurants named Moc and Rice Lounge. 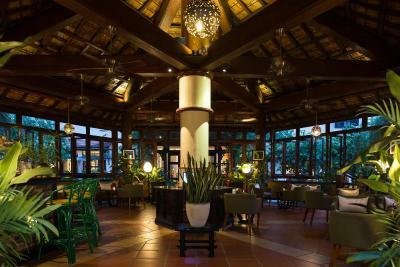 Offering an array of Vietnamese and Western dishes, the restaurants provide choices of alfreso dining or sit-down dinner. 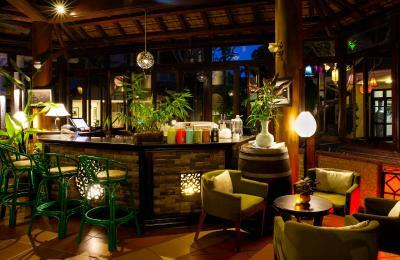 Cafe Dau An, the poolside bar, serves a wide range of beverages. 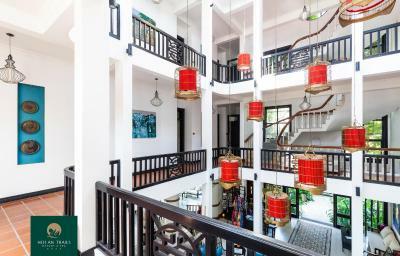 Hoi An Historic Museum is 1.6 mi from the property, while Hoi An Ancient Town is 1.7 mi away. The famous An Bang Beach is 2 mi from the resort. 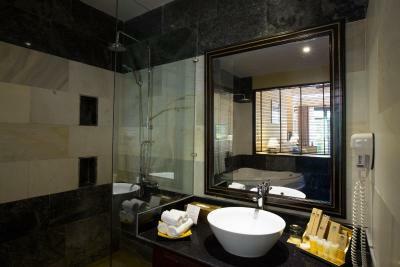 Da Nang International Airport, approximately 19 mi from Hoi An Trails Resort & Spa. 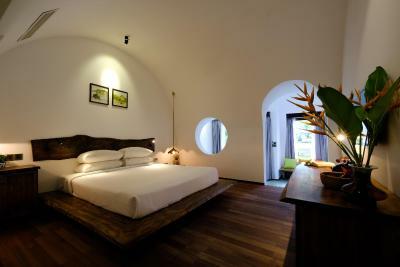 When would you like to stay at Hoi An Trails Resort & Spa? 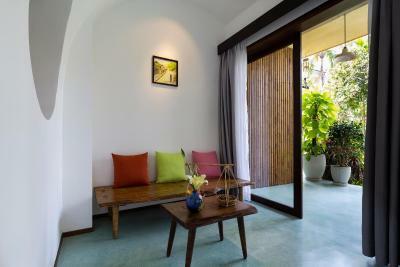 These rooms overlook a beautiful tropical grounds and provide lots of natural light from the windows and private balcony. 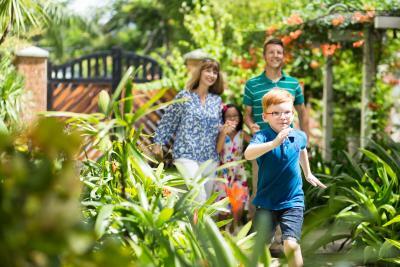 Includes views overlooking the coconut grove, pool, rice field, and garden. 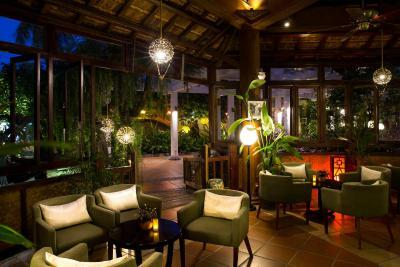 Located in the Palm building, Junior Suite overlooks the tropical garden and include a living room, seating area and private bathroom. 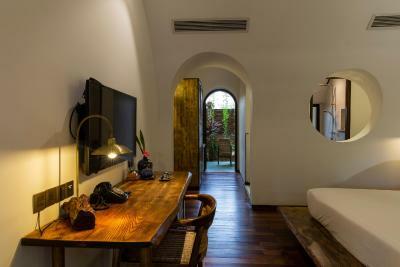 Rooms overlook a beautiful orchid garden. 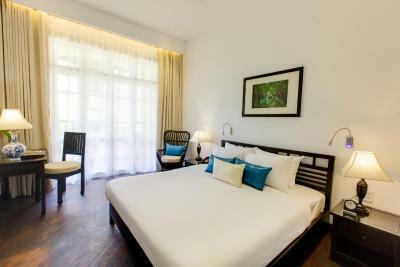 All rooms are soundproofed and feature an outdoor balcony. 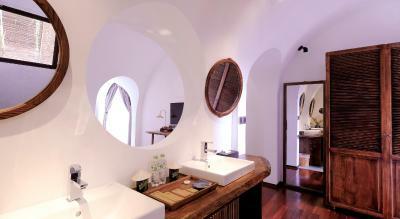 This triple room has a balcony, seating area and mini-bar. This mobile home has a balcony, seating area and bathrobe. 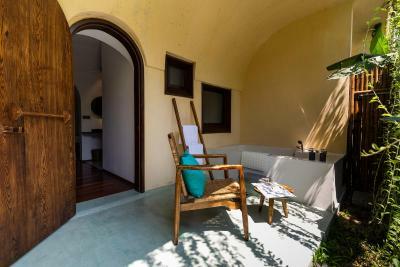 This room has a balcony, seating area and private bathroom. 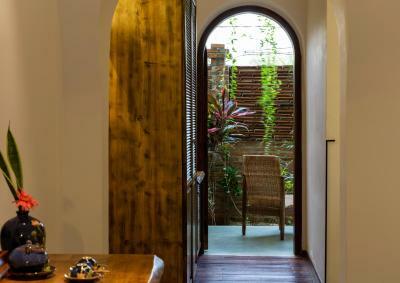 This room offers two bedrooms, a private balcony and garden view. Area Info – This neighborhood is a great choice for travelers interested in beaches, relaxation and shopping – Check location Great location - show map Guests loved walking around the neighborhood! 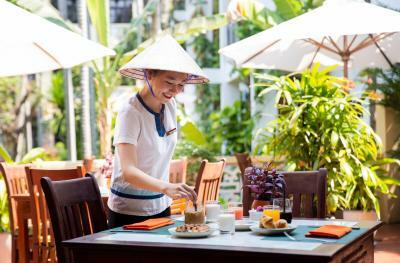 House Rules Hoi An Trails Resort & Spa takes special requests – add in the next step! 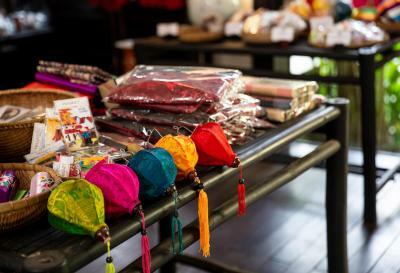 Hoi An Trails Resort &amp; Spa accepts these cards and reserves the right to temporarily hold an amount prior to arrival. 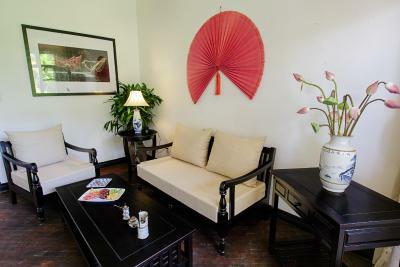 Hoi An Trails Resort & Spa accepts these cards and reserves the right to temporarily hold an amount prior to arrival. 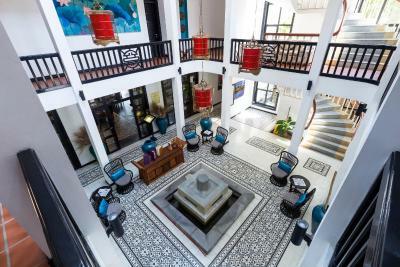 This is my second time staying at Hoi An Trails Resort and Spa and it is the only place I would stay in Hoi An! The staff are incredibly attentive and helpful whenever you have any questions or need help of any kind. Minh was especially welcoming when we arrived and even remembered I was a return guest (and put me in the same spectacular room). 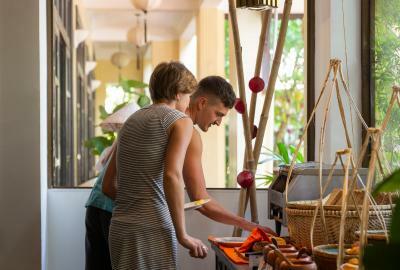 Vinh, Quynh and Thang have also been incredible, they are not only warm and greet each guest by their names but they also assisted in our late check out and made sure we were always comfortable! Luy has to be superwoman, despite being heavily pregnant, she never hesitated to get up and greet us or assist us in telling our taxi where to go! I’m looking forward to meeting her little one once I inevitably return! 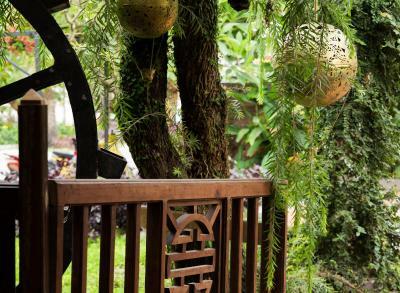 Hoi An Trails is the perfect place to go if you’re looking for a place to sit back and relax! The pool facility is the perfect size that it is never too crowded and it is only a stone throw away from the AMAZING spa! The ladies, Diem, Thu and Thành are a dream team who we visited every day for a wide array of spa treatments! Thank you to everyone else who made this getaway so wonderful and I can’t wait for my next visit! We were very happy, really nothing to mention. We loved having two large adjoining rooms. The beds were comfortable and the balcony was a great place to read in the heat of the day whilst hanging out the wet clothes. The breakfast was amazing, lots of vegetarian options, kids loved the pancakes and waffles, my husband loved the omelette, bacon, sausages and pastries. The fruit was fresh and a great selection. 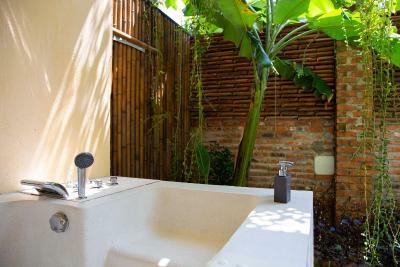 The large pool with jacuzzi and shallow end was perfect and clean, the setting was beautiful with lots of frangipani trees surrounding it. The kids loved the pool table and we loved that there was place to sunbathe and sit in shade. The people were so helpful at arranging trips for us. We went to My Son temples at 530am (and missed the crowds it was tranquil) we also went to the Lantern Lady to make our own Lanterns and took a 6 our bike trip with Heaven and Earth Bike tours (one of our highlights, excellent value for money and the real Vietnam - there was shade and water and the small group was well looked after) The hotel shuttle to the beach and old town was really useful. We went to the old town for dinner as it was cooler and there was heaps of food options. We ate lunch at the hotel often and found the food good and all our needs met. 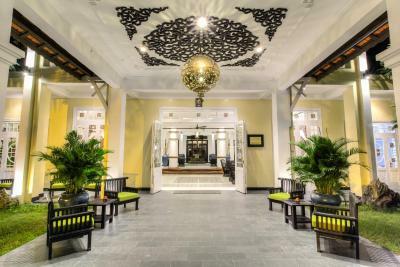 The gardens and lobby are stunning and well looked after. 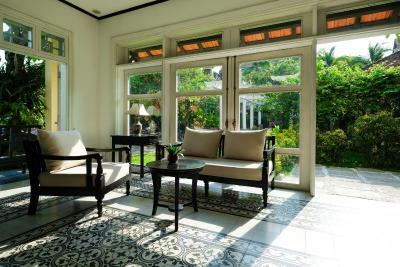 If you are looking for a French Colonial look with space and tranquility this the place. There are option closer to the beach, but not as nice or as cheap. The 10 minute ride into town was easy and only 50,000 VTN when we didn't take the free bus. 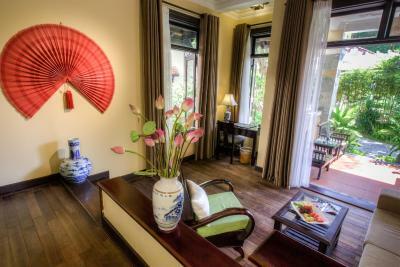 We stayed 7 nights and could have stayed longer as there is so much to see and do in Hoi An. We plan on going back and we will use this place again. Minh, Luy, and Thiang were super helpful at the front desk and saw to our needs with a professional, calm and kind manner. Exceptional holiday. They desperately tried to sell us an upgrade and were difficul to turn down. Very dark rooms, difficult to read books in the evening. The first room was not as clean as it should have been. Possibly a bit dated and musty and airing their rooms might be a good idea. Staff were very friendly and eager to please. 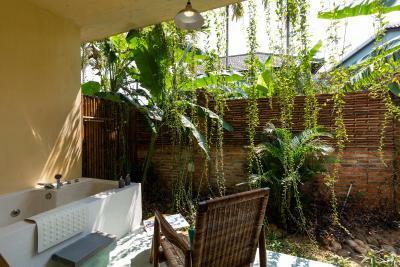 The location is good, between the old town and the beach, both easily reachable. 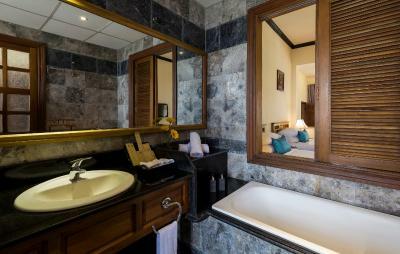 I stayed in the Signature Trails room and had the full Spa and the room and the massage were really great. 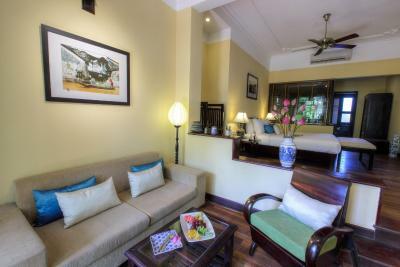 The staff are really nice and try constantly to make your stay as comfortable as possible. Thank you Minh! You need transport to get to the town centre. The place in an oasis. The rooms and pool was the highlight. Pool menu was not too good. Food took over 45 mins to get to us the first day, quality of the pizza was not good, my children refused to eat it. However, the food at the main restaurant was great. I loved the fact that the pool was great for my kids, always clean and so practical. Also, the spa staff were amazing with my daughter, very kind to my children while I had a massage. I don't recommend to spend any money at the hotel. It's very overpriced. Beer 75 000 when normal price ~15 000, rice & chicken 150 000 normally ~40-60 000. Trip to Bana Hills 20 dollars more than if you buy it elsewhere. Eaven though you end up with same company and car. Bikes were in REALLY bad shape. It was very nice and fresh hotel with beautiful poolarea. Everything there is looking amazing and the breakfast was delicious. Nothing - it was a lovely, relaxing experience. Only point I would make is that we made a pot of tea the first night and the pot and cup were not washed, nor the tea bag replaced the following day, but overall, a lovely experience. We arrived super early in the morning and our room was not available. However, the staff suggested we use the pool and spa facilities which was nice. The staff were wonderful - particularly Binh and Vinh. Most appreciated was the free shuttle into the town - I had missed this point when booking - it's less than $3 by taxi but the shuttle added an extra touch as the hotel is a little bit away from the town. 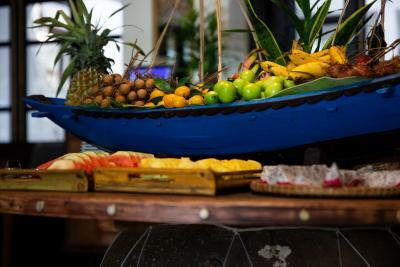 Breakfast was fine - there is an egg station, plenty of fruit and breads to choose from. It is a quiet hotel, or at least when we were there - couples mostly. Swimming pool is very dirty. Music on pool area is always same. Great place if you wont to get bacterial or other disease. 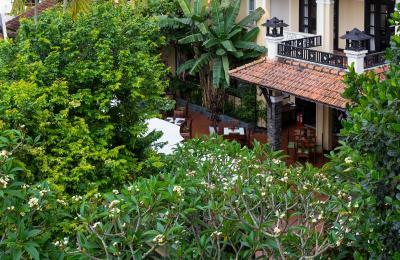 Place is more expensivd then some of best and high valuated restorans in Hoi An. Staf in restoran is great. Photos of this place were edited. Nice and comfortable but not what I expected. Definitely not a 4 star. I would say 3 star. The beds were hard though sleepable. Bathroom had bath and shower separate. Bath was broken unable to empty. Came to look at it straight away. Said was fixed though wasn't. Toilet did not flush properly. Rooms were clean and tidy. Pool had no shade but was fine. Not many kids were there just older people and didn't like our daughter swimming around.